Introduction Harden Machinery Co.,Ltd is one of the leading Industrial shredder manufacturers in China. 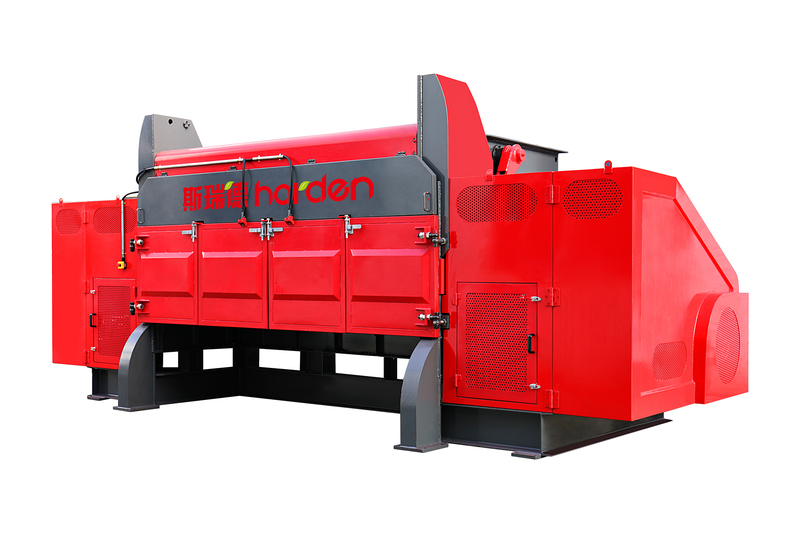 We committed to the development and production of solid waste shredder by introducing the European technology, producing out high efficiency, simple operation and stable performance shredders. Harden SM (SMH) series single shaft shredder equipped heavy-duty rotor with advanced cutting structure and arc-stock pusher. It`s well suitable for medium and fine size shredding works. The throughput is ranged from 1 and 30 tons/hour. Electrical motor and hydraulic radial motor is optional depending to the working conditions. Harden has rich experiences in single shaft shredders. Harden has specialized parameters for different materials shredding. The rotating speed, action program and cutter formation is sophisticated. Whether it is a thick wood stake or RDF in low bulk density, SM(SMH) can deal with it perfectly. 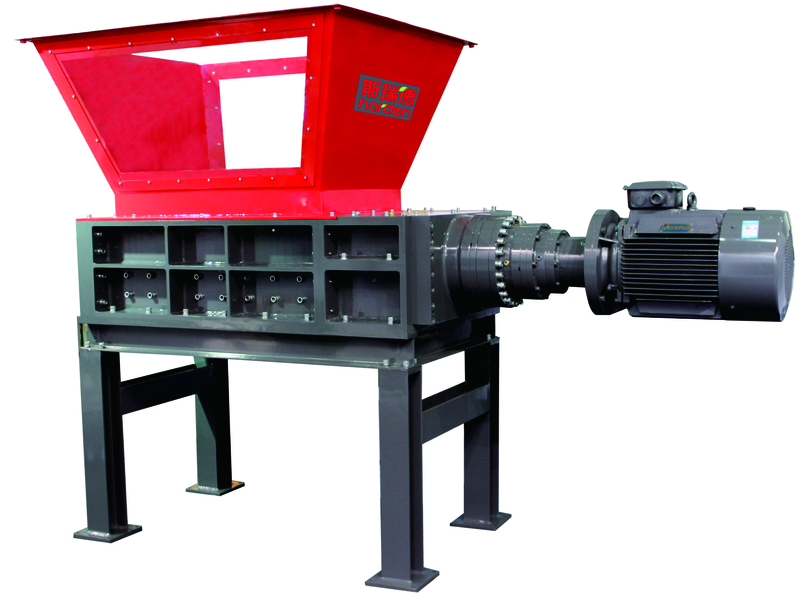 Harden TS series are medium-duty double shaft shredder. TS equipped single motor and gearbox. A set of transmission gear driven two shafts rotating together. TS is compact but with a powerful core, strong shaft and blades and various operating protection. TS series is economical, batch produced with well workmanship. Each of producing flow, heat treatment, hardness testing and flaw detection is strict to ensure the quality. 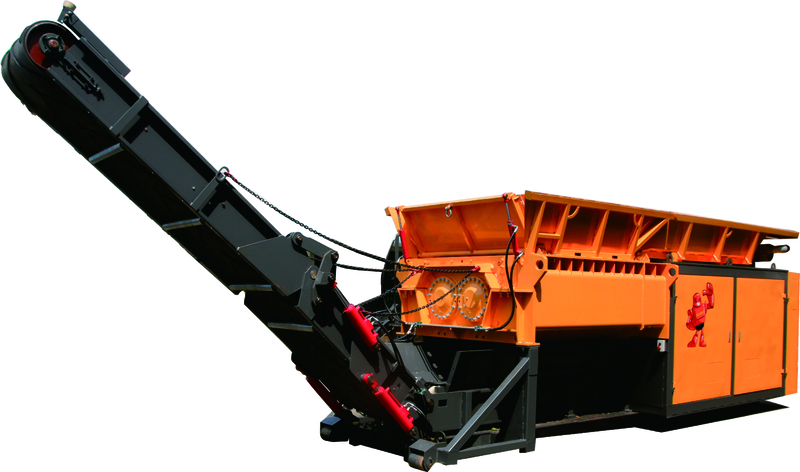 Harden TD (TDH) series are heavy-duty double shaft shredder suitable to manage all kinds of solid waste. The performance and stability had been highly recognized by customers. TD series are driven by electrical motors and TDH by hydraulic system. The installed power is ranged from 60 to 400 kW. 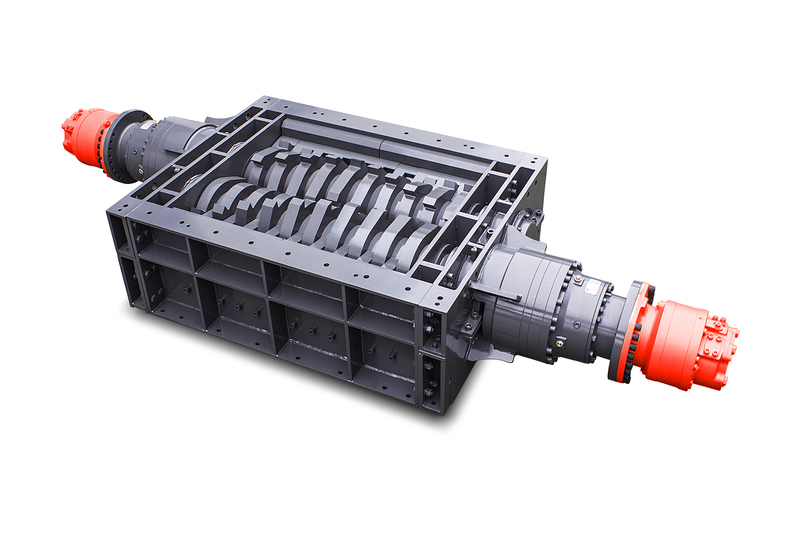 Harden has several advanced technologies of heavy-duty two shaft shredders, such as splined shaft coupling, integrated gearbox bearing pedestal and etc. The design had been improved time by time to result a great reliability. 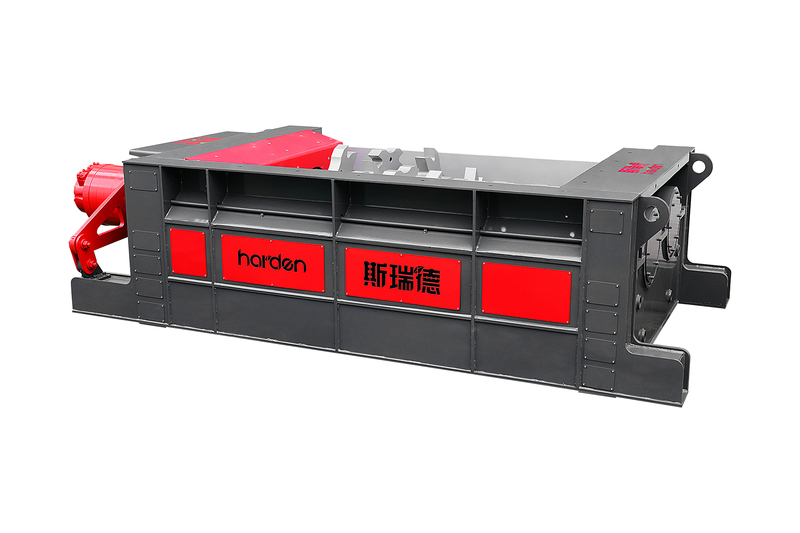 Harden QS series four shaft shredder has intelligent control system for each of shaft which enables every shaft working with their own shredding and protection actions to increase the shredding frequency and output. Harden TDH series primary shredder is professional in shredding large volumes of materials such as MSW, bulky furniture, and shell of vehicles, etc. The special design of blades rotor and contrary blades solved materials twining problem. The Shredding clearances is controlled by machining that it can save power consumption and enlarge the output range. The wear plate full-cover technology prolongs the service life of both the shaft and cutting chamber by times.